You made it this far kid. What will it be? Hufflepuff? Gryffindor? Or, maybe Slytherin? Choices, choices? Will the hat pick the right one? What if it doesn't? Good thing for you this hat doesn't talk nearly as much as the one at Hogwarts. 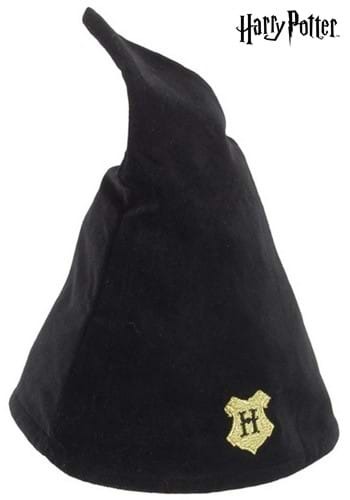 However, you can still pretend this nifty Hogwarts Student Wizard Hat will pick out your house! If you are an ultimate Harry Potter fan this hat is for you. The cone shaped hat features a gold Hogwarts crest with a black "H" on the front. The hat is made out of polyester and cotton with a 21 inch circumference. Get ready to find out your Hogwarts house with this sassy Hogwarts Student Wizard Hat. It will probably be the one you desire the most.